The triangular-shaped vineyard, whose traditional lieu-dit is La Vigne Blanche, lies at an elevation of 250 meters, with an eastern exposition, and enjoys a limestone-based soil mixed with clay. While the vineyard is planted 95% with Chardonnay, there is also a small amount of traditional Pinot Beurot (4%) and Pinot Blanc (1%) which help make the wine both distinctive and complex. 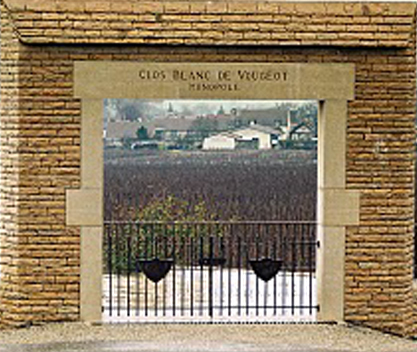 Owned from 1959 until 2000 by L’Heritier Guyot , where it was quite regrettably an underperformer, the quality of Clos Blanc de Vougeot has been raised by the Vougeraie team to the very highest level. The farming is organic (certified by Ecocert) and rigorous biodynamic practices are closely followed. Winemaker Pierre Vincent presses whole bunches for 2½ hours, followed by a 12 hour debourbage at 15°C. The wine is fermented in barrels and aged for 16 months before bottling. Only about 500 cases of the wine are made each year.